Whether you know Jonathan Krisel’s name or not, you probably know his work. 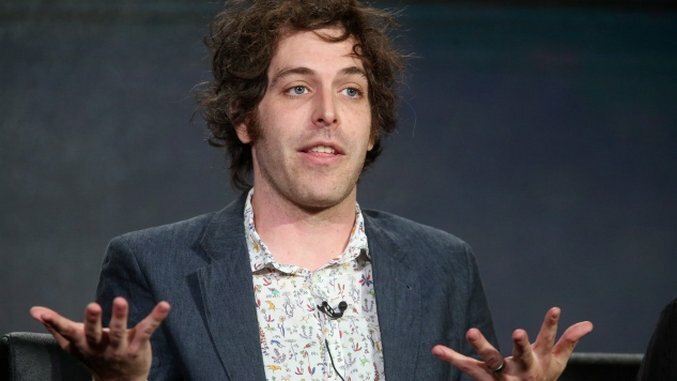 He’s risen quickly as one of television comedy’s biggest go-to guys with his success in writing and directing Portlandia, Man Seeking Woman and various Tim & Eric-related business. With his latest show, FX’s Baskets, he’s once again shepherded an unexpected idea to the screen. Baskets, the brain child of Krisel, Zach Galifianakis and Louis C.K., follows a man named Chip Baskets. He’s an aspiring professional clown who, after failing out of clown school in Paris, moves back home to Bakersfield, California, where he has to face the frustrations of living with his mother and working as a local rodeo clown. While Chip’s passion in life is to achieve the high artistic value of being a classically-trained clown, he must face the realities of a loveless marriage, reliance upon the support of his family, and uncertainty over how long he can financially support himself while chasing his dream. While network comedies use rapid fire punchlines to draw in the broadest possible audience, Krisel and company like to let the characters do the work. Particularly in tragic, real life situations, where the character’s failures mean a lot more than just getting a cheap laugh. Krisel gave a TedX Talk in 2013 titled “Doing It Wrong and Getting It Right,” about how as an artist you can unexpectedly find success within failure. He used the process of making Portlandia as an example, in that they would try new things, let paintings fall, have people performing ridiculous actions in the background, and somehow that would be where the comedy came from. We see a lot of failure within Chip Baskets, but according to Krisel, that’s very much the point. It’s clear from watching the show, and talking to Krisel about its intentions, that there’s nobody else but Zach Galifiankis who could lead us through this journey. When I asked about the show’s commentary on the art world and what it means to be an artist in comedy, Krisel quickly praised the brilliance of Galifianakis and how he is much of the driving force of the show. The solution to a story filled to the brim with sugar? Add some salt to the recipe. Varying up the tone can give your comedy what it needs to really make an impact. To not only make your audience laugh, but to sympathize with and see these characters as human beings, and not just caricatures or joke machines. “It balances your palette so there isn’t just one flavor,” Krisel explained to me. The way Krisel describes comedy, it sounds like the most human form of art there is. He went on to tell me that the type of jokes he likes to write in his shows are “almost just attention to details of reality.” Everybody knows somebody in his or her life much like Chip, and it’s funny because we all do. We see him get smacked around by a bull or have a conversation with a coyote, and that’s funny to us because of it feels both exaggerated yet real at the same time. Despite its less likely moments, Baskets is a true to life comedy. Nothing is ever completely serious, and nothing is ever taken as a complete joke. Something as mundane as a trip to the grocery store and waiting in a slow line could be a comedy scene if you look hard enough. That’s exactly the type of show Jonathan Krisel and his colleagues set out to make—the kind where the absurdity of life is highlighted and the humor can be found in just about anything, including tragedy.